It’s the same as random vs systematic. Ultimately, if you want results, you need a system. A program that works. It should methodical, systematic, progressive, consistent and repeatable. So if you are following a random structure to your fitness, expect random, or very little results. Let’s first define training and workout. How they differ, and how you need to approach your fitness differently if you want to achieve specific results. With the growing trends on zero commitment options for gyms and fitness class passes, we are driving a mindset away from results. The initial concept was based on the opportunity to try our different fitness options in your area so you could then choose the best program, facility, option for your goals. However as with most fresh and young industries, as the demand and increased awareness leads to more entry level consumers, they get used the variety, fun and complete flexibility of these type of programs. First point. Let’s not skip the most important element of our industry. Movement. For most coaches and trainers our goal is to encourage more people to be more active, to move more and live healthier lives. It’s all good. I believe anything that encourages people to be more active is a great thing. Variety is also good. Its keep fitness fun varied, and also the member to try out lots of different activities that they may otherwise not have a chance to experience. And if you’re not looking for any specific result, and to just be active, then that’s great. However, that approach is probably not going to give you the result you’re looking for. It might be fun for a few weeks or months, however at some point, if you have specific goals and results you want to achieve, then you need to narrow down the specific of what is going to give you that desired physique you are working for. For terms of simple understanding, these are just workouts. Workouts are random, perhaps structured for that specific workout itself, but no progression, continuity of forth sight towards an ultimate outcome, goal or result. It’s just random. If your training is random, expect random results. This isn’t to say that by following a random lifestyle of activity isn’t going to give results. Ultimately if your goal is to lose weight and you create a caloric deficit ie: you burn more energy and calories than you consume, you will lose weight. However, who has time for random outcomes? If you’re focused on a particular result, you want to engage in the most effective program possible, that gives you the result you want. Training on the other hand is the strategic creation of a program that you follow over a set period of time. It’s planned, measured, tracked with a focus on the result. Your program determines your result, so if you fail to plan, you plan to fail. If you are going to be putting the hard work, effort, time money and energy into your training, you might as well be aiming for the best result right? The better coaches and trainers will design a specific, progressive program that you follow over 4- 6 weeks. Taking into consideration different intensities, energy systems, frequency and type of training modalities, Strength, conditioning, lower intensity, corrective. And better coaches still, will perform a detailed assessment to identify your muscle imbalances, weakness and pain which should also then be included in your ‘strategy training plan’. Now we have a training plan. A specific system to follow to achieve a specific result. 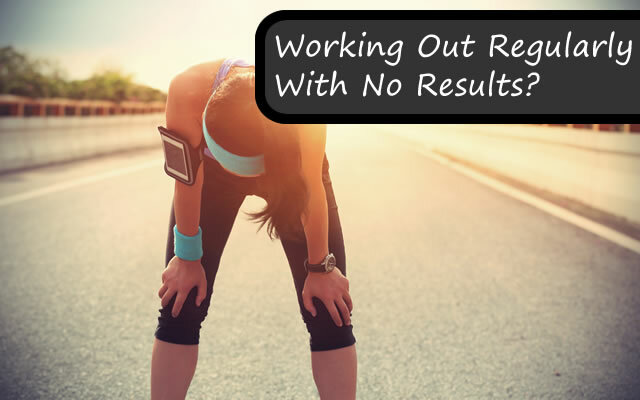 If you have specific goals you want to achieve, and struggling to see any improvement, getting frustrated with the lack of results even though you are working out every day, consider this a first step to get you moving on the better path for your result. If you are butterfly floating from one class to the next, and not getting the physical result or changes you desire, consider using that flexibility you have with your current class pass to identify the team, the coaches and facility that can focus in on what YOU NEED to change your body and get the results you are working for. You can also check out one of our top coaches, Jeff Smith and get his own personal 12 week transformation program that helped him pack on 9 kilograms of muscle and shed 8% body fat. Daniel Remon is the CEO of Fitcorp. Daniel was the first in Thailand to develop personalised result based training since 2002, and founder of the Aspire Club and CrossFit Bangkok at Asoke. The leading gym for weight loss, and getting lean. Aspire runs fitness and weight loss challenges, educational seminars, nutrition and physiotherapy programs that achieve incredible results and change lives. For more information visit www.theaspireclub.com or call 02 229 4114 for your free trial and consultation.